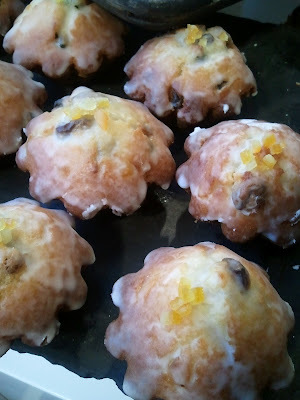 Last Christmas a friend gave me Yotam Ottolenghi's cookbook, Plenty. I'd never heard of the chef or his restaurants but I couldn't wait to try the recipes, especially the one on the cover - Eggplant with buttermilk sauce. 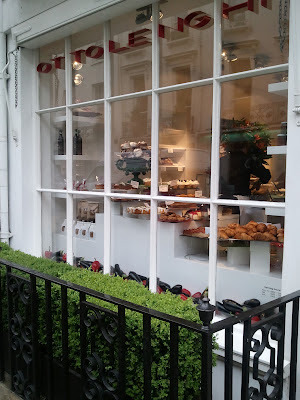 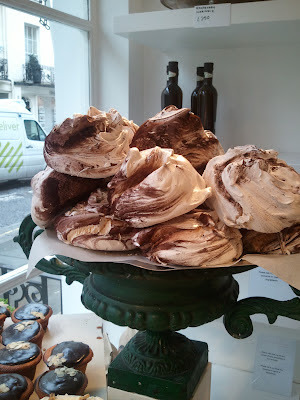 In researching for our UK trip I looked up Ottolenghi. We were unable to get reservations at his restaurant, NOPI, but we did go to his lovely namesake shop in Belgravia, one of four in London. 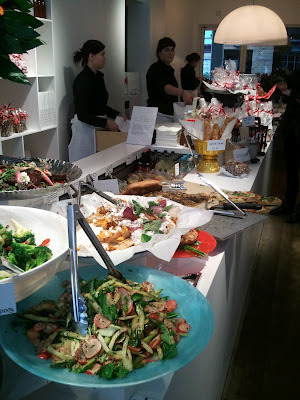 The shop is small - two-thirds food displays and one round communal table at the back - we took up the entire table. 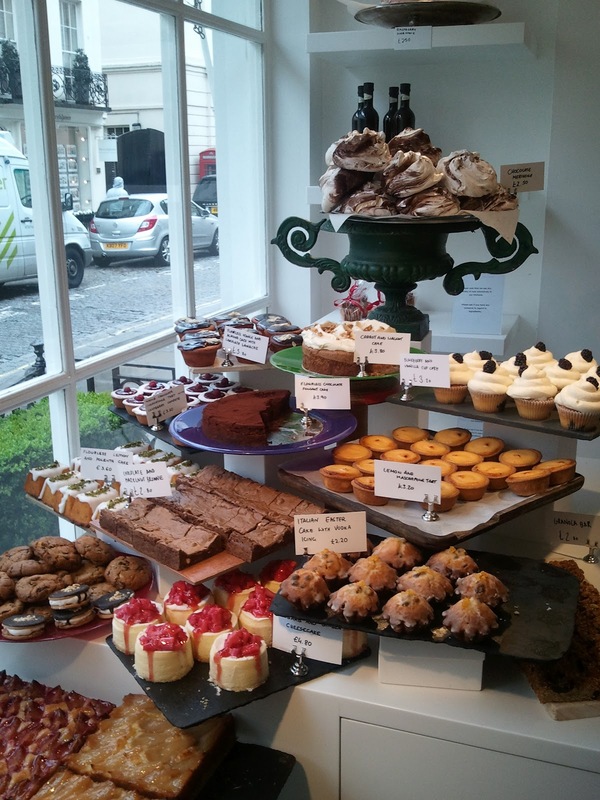 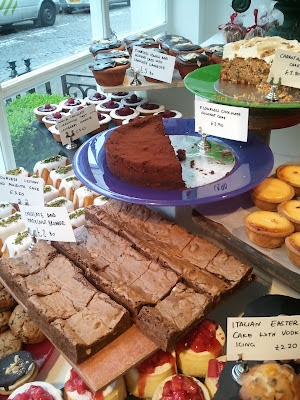 The shop window draws you in with tiers of delicious baked goods on display. 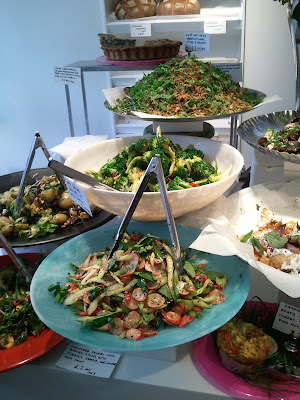 And if you can tear yourself away from the sweets, you'll see an equally wonderful array of salads. 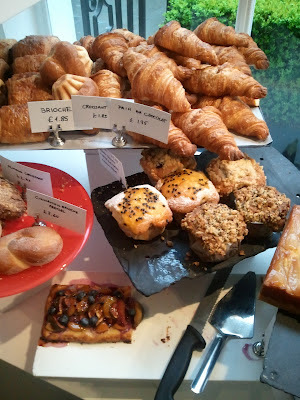 It was a perfect lunch - a trio of salads followed by a selection of sweets with a little takeaway box of pastries for breakfast the next morning. I can't wait to go back!